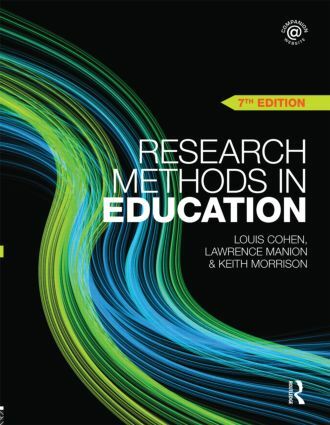 The textbook is accompanied by a website: www.routledge.com/textbooks/cohen7e. PowerPoint slides for every chapter contain an outline of the chapter structure followed by a thorough summary of the key points, ideal for both lecturers and students. Within the book a variety of internet resources are referred to and these references have been included here, with links to the websites. A wide range of supplementary documents are available for many chapters, providing additional guidance and examples. They range from guidelines for the contents of a research proposal with a worked example, to screen-print manuals for using SPSS and QSR N6 NUD*IST (exportable to N-Vivo) plus data files.